There’s no better way to chase away the Winter blues than by booking a holiday and having something fun to look forward to. If you can book one that is. This usability review of the Disneyland Paris website left me thinking “How can a multi-billion dollar supposedly consumer-centric business get things so wrong on their website”? We asked pre-screened users from the WhatUsersDo panel to imagine that they were thinking of treating the family to a weekend away at Disneyland Paris. As they used the site to find a package that they’d genuinely consider buying, their screens and spoken thoughts were recorded into online videos. Things did not start well. On first entering the site, users are assailed by a musical cinematic fanfare that is so loud that, should you happen to be at work, you can be sure your boss, and probably even your boss’s boss will be alerted to the fact that you are having a few minutes down time on some ‘personal admin’. It’s very unusual for someone to go straight to a site and make a purchase of this size on that first visit so you can expect the trumpeting accompaniment to annoy you not once but each time you enter the site thereafter. Once the auditory senses have recovered, the eyes can start to take in the confusing array of options on the page. The large moving graphic distracts attention from what are a competing set of navigational options. It is difficult to know not only which option to start from but whether going down one path will preclude you from taking advantage of ‘offers’ from another. For example, which is the most appropriate top navigation route – ‘Choose your Experience’ or ‘Find your ideal offer’? Within ‘Choose your Experience’ if I have a young family should I pick ‘Families with toddlers’ or ‘Family Adventure’? The user by now is already being asked to think and weigh up far too much . Language and terminology used in the navigation feels very internal to the Disney organisation, but not that helpful for users: ‘Disney Parks’, “Disney Village’ – can anyone but a seasoned Disneyland visitor instantly know the difference here? The site doesn’t help you to understand what there actually is at Disneyland Paris. “It is not very user friendly…you have to work it out as you go”. Things did not improve for our users who made it into the booking process. There are several paths into this, each with its own problems. There is a booking form on the home page which several users started with however each ran into different issues. There is a distinct lack of clear direction through the process and users were unclear of next steps making it unlikely outside the test environment that they would ever be confident enough to complete a booking. In another example of being confused throughout the booking process, this user was told that the holiday could not be booked on-line and that she must complete the booking by phone . It has been at least 10 years since I have seen that most unhelpful of instructions on a website! One user, trying to book for two adults and 3 children, was surprised to see that the maximum number of children only went up to two. Family of five or more? Tough – it seems. Had this user thought to look at the bottom of the form at a badly labelled link and clicked on it, she could have read about a ‘workaround’ for this – make two separate bookings and then ‘link’ the bookings in the order summary screen. So, the booking system is not flexible enough to cope well with this common scenario and it requires the user to do the leg work. Would it really be so hard to include the number of rooms in the booking criteria? Elsewhere in the site this simple test uncovered yet another common usability mistake from circa 2001 – not designing to prevent errors and displaying unhelpful error messages when the unwitting inevitably fall into the trap. The booking form on the home page loads with today’s date as default. Should the user not change that (a blank field is more of a prompt to enter information) then on the next page when the user is required to choose a hotel, they find that all the hotel links are disabled and greyed out. And no, there is no message to inform the user to choose a date – the only instruction on the page is to choose a hotel. A further example of this painful lack of form validation is in entering dates of birth for children. Should you choose not to do so the form will simply not submit leaving the user hanging on and staring at the unchanging screen. Users also uncovered an annoying issue that the site would let you get so far into booking an offer, even to the stage of booking transportation, before telling you that the offer was not available. When you have invested time and effort on the understanding that you had all the information available this is clearly annoying and off-putting. Booking a holiday can be a nerve-racking process, especially when you’re responsible for other people. There is a lot at stake: time, money and not least happiness. It is important for users to be confident not only that they have made the right decisions but also that their requests will be carried out to the letter once their holiday starts. Disneyland Paris’ customers undoubtedly get a great experience at the park itself and the strength of the brand will mean many users will put up with a poor online user experience. But, should they have to? We posted a simple task on WhatUsersDo asking users to imagine that they were thinking of treating the family to a weekend away at Disneyland Paris in Summer and to use the site to find a package that they’d genuinely consider buying which included travel. We screened users specifying that they should have children under 12. We then inserted tags and notes at interesting points during the recording and made our conclusions. interesting post Lee. Just goes to show that even big brands can struggle in this area. Do you have any posts of really good ones? 1. Brands tend not to factor in User Experience in their “brand values”. This is slowly changing, as UX and usability start getting some board level attention, but flashy (in both senses of the word) websites tend to domintate marketeers’ worlds. Looking good trumps easy to use (at least it has until now). 2. Big brand agencies are not really digital. The agencies who work on major brands’ websites tend to have advertising in their blood and are therefore creatively led with a top-down approach to all media (online and off). They tend not to really understand users, though they are being forced to as their clients begin to demand a “social” strategy. 3. The bigger they are, the harder they fall. Sometimes it’s just a question of size. Large brands can be paralysed by a lack of decision making and website changes and improvements can just be too hard to fight for. …. anyway, that’s what I reckon! A Mickey Mouse site, so near yet so far away ! Also interesting is that no one from Disney has contacted us or left a comment on this post or indeed addressed these issues. In previous website usability reviews in this blog we’ve had site owners fix issues we raised – particularly impressive were the speed with which Gateshead Council and Firebox.com improved things for their users. When we reviewed the BBC iPlayer the BBC got involved in the discussion with users. 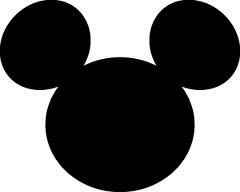 Funnily enough I’m off to Disneyland Paris with the family in a couple of weeks, so I’ll “have a word” with Mickey! Great post and review with some disappointing results (for users and Disneyland Paris :). Big brands should lead by example and strive to improve their UX, since most probably have the budgets to do it. I agree that many often have to cut through a lot of red tape to make even the smallest of changes. I also think several may attempt to build from legacy websites instead of researching what their users actually want and need. They should be grateful for the free usability review! convincing and can definitely work. Still, the posts are very quick for beginners.